The growing world population needs more space. The demand for energy is rising constantly and society is demanding a transition to a renewable energy system. Increasing world trade requires more and better port facilities and climate change is threatening coastal areas. We are a leading international contractor specialising in dredging, marine engineering and offshore projects (oil, gas and wind). We work closely with our clients to create innovative, sustainable solutions and safe working conditions. Our entrepreneurship has been shaped by the Netherlands’ centuries-long battle against water. This uniquely Dutch characteristic, the pioneering mind-set, is rooted deep within us and makes us the best partner for our clients. We are committed, and we always aim to achieve the best result. We are in business to win. We are driven by our passion for water and technology. As a team, we are eager to tackle marine challenges and find the pieces of the ingenious puzzles we’re solving. J.G. 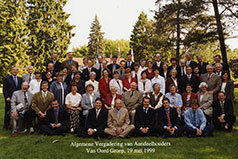 van Oord published two books on the history of the family business. The latest one was published on 7 September 2016. This text is based on his publications. Founding father Govert van Oord was a softwood trader in the small Dutch village of Werkendam, located on the edge of the Biesbosch wetlands where two rivers diverge. Local people worked as fishermen, as inland barge owners or crew or softwood harvesters during wintertime and in the marine construction business in the summertime. In 1868, after a conflict with his employer about religious matters, he decided to start up his own business. By 1893, Govert was one of the more successful traders in softwood products in the Netherlands. He had also become one of the leaders of orthodox confessionalism in his village, a movement that rebelled against the prevailing liberal elite. After Govert van Oord died in 1912, the company Van Oord & Brothers in Werkendam was founded in 1919 by Govert van Oord’s four sons. The company developed into a medium-size Dutch company specialising in civil and marine engineering. Jacobus Gerrit, one of the sons, was the driving force behind the company’s expansion. In 1948, the partners in Van Oord & Brothers took a dramatic decision at the suggestion of Jacobus Gerrit. They decided to split the company into separate businesses, initially three and later four. The decision was prompted by the differences in opinion concerning the future and the position of the younger Van Oord generation in the company. Jacobus Gerrit and his two eldest sons founded their own company, Jac.G. van Oord & Sons, in the city of Utrecht. Jacobus Gerrit was 55 years old when he started his new business. He threw himself into making the new company a success. Jacobus Gerrit had realised early on that the most robust marine engineering companies were the dredging companies. His desire to work independently in the contracting business led him to conclude that they had to own their own dredging equipment. 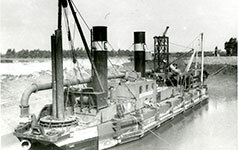 The company first accomplished this in 1953, when it used the capital it had earned in the wake of the Netherlands’ flood disaster to purchase a Belgian steam-driven cutter suction dredger built in 1926. In 1958 the company decided to build its first cutter suction dredger. 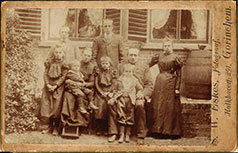 Jacobus Gerrit was a true patriarch: he had seven children and many grandchildren. The family had, and still has, close ties with the company. Afterwards, his eldest sons also his two youngest sons joined the company. And unlike most other family-owned companies at the time, he also made sure that his daughters acquired shares in the company. On 31 January 1966, a little more than a month after his farewell, Jacobus Gerrit passed away unexpectedly. In the early seventies it became clear to Van Oord that a modern dredging company needed extensive investments in equipment and organisation. The company established an alliance with a shipping company. After the initial expansion of its activities in Europe the company joined the seventies dredging boom in the Middle East. Being independent is deeply founded in Van Oord’s DNA. The company gained control of its alliances, participated in renowned international projects and developed into an independent company with its activities based on three pillars: dredging, marine engineering and offshore services. In the seventies, eighties and nineties the industry went through a period of consolidation. Van Oord stayed away from this process but realised that growth was needed to keep up with the competition. In 2003, the opportunity arose to take over a company twice Van Oord’s size. After careful consideration, it was decided that this was an opportunity not be missed. 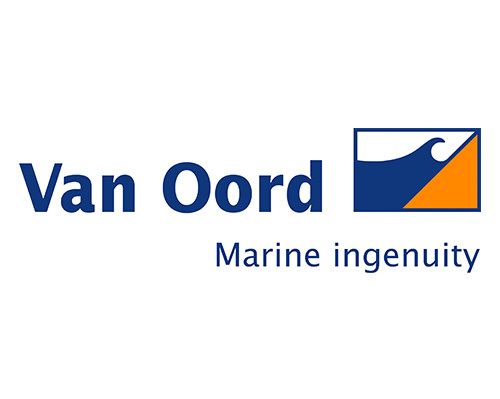 Van Oord as we now know it was formed by this merger. 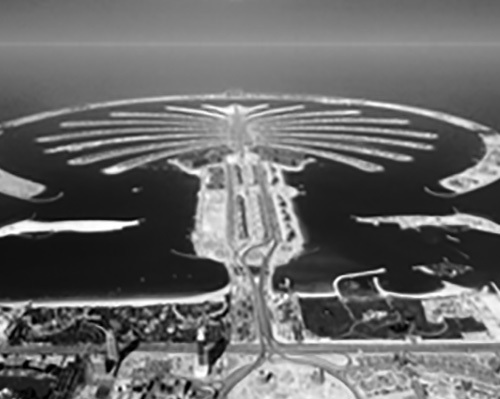 Since then, the company has been able to construct iconic marine projects, such as the artificial Palm Islands in Dubai and the second Suez Canal. At the same time, Van Oord still is an independent company, with the controlling interest still held by the Van Oord family. 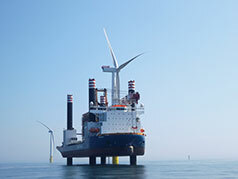 Nowadays, the company’s strategy focuses on dredging, offshore oil and gas, and building offshore wind parks.